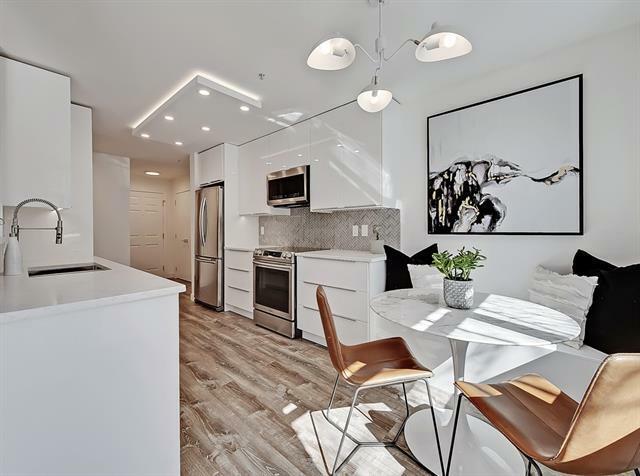 MODERN ELEGANCE - An ENTIRELY RENOVATED TOP TO BOTTOM condo in the hub of trendy Marda Loop. 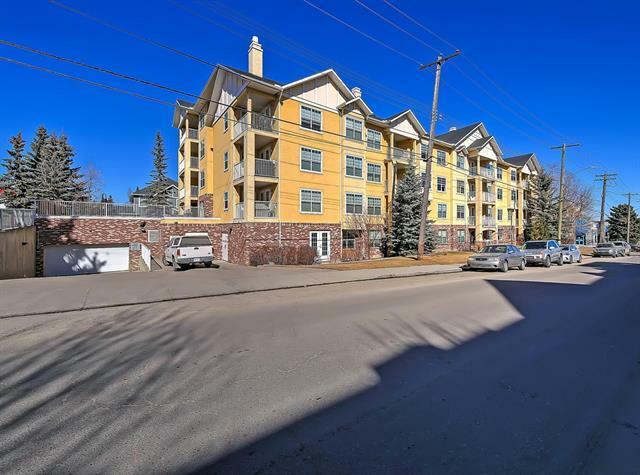 Steps away from restaurants, cafes, shops, fitness, with quick access to transit & downtown. Underground, heated parking, two large storage lockers. Open floor plan with 1 spacious bedroom PLUS a NICE SIZED DEN! No expense was spared to design this truly stylish living space. 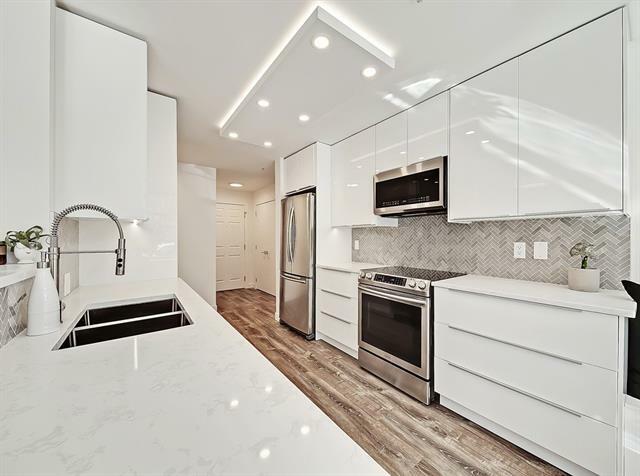 Youll love the LifeProof Luxury Vinyl Flooring, chic FLAT CEILINGS, new LED lighting, ALL NEW redone gourmet kitchen with brand new stainless steel SAMSUNG appliances, smart organization, QUARTZ counter tops throughout. Plenty of natural light flows through from the large windows. 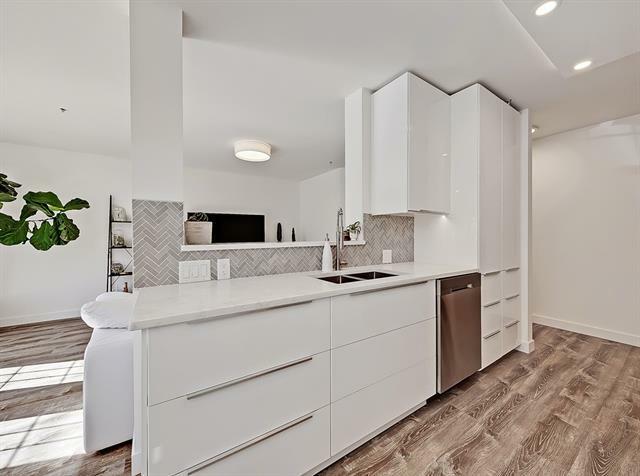 The expansive living area features French doors opening up to a large patio area and just a skip away from MARDA LOOP LIVING! Request an impressive list of designer high-end upgrades that complete this contemporary unit. A well-managed building, with amenities like secure visitor parking & a common area lounge for special events.